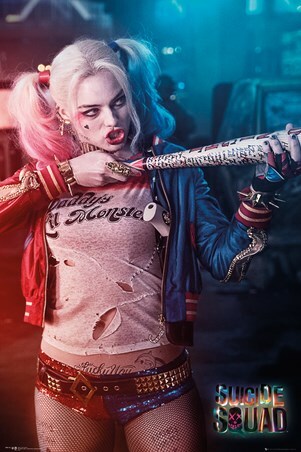 Someone has been a very bad girl! Margot Robbie takes on Harley Quinn for the first time in history, in the film adaptation of Suicide Squad. 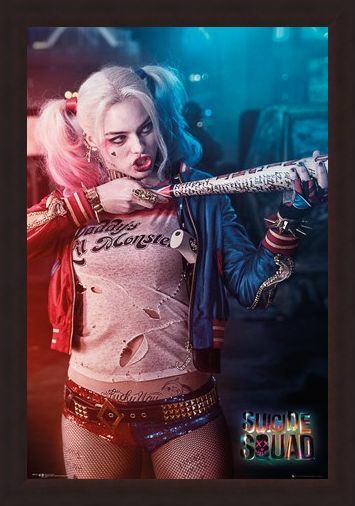 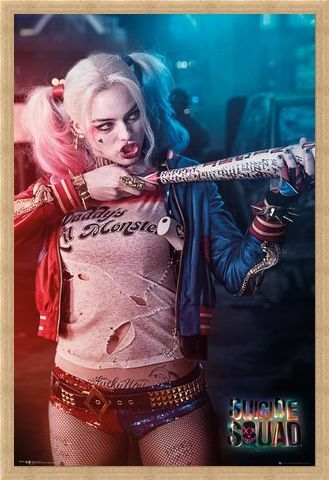 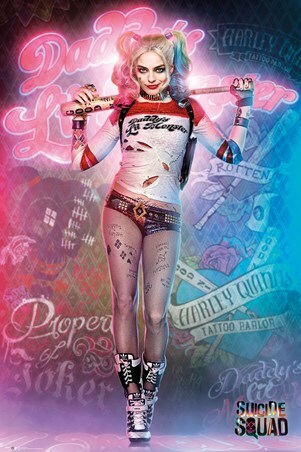 This incredible poster features 'Harleen' in her explosive costume and pig-tailed hair, as she holds a baseball bat to represent a gun. If you are prepared to have this villainous vixen in your room, be warned - after all, she hasn't exactly got the best girlfriend award recently. High quality, framed Harley Quinn - Baseball Gun, Suicide Squad poster with a bespoke frame by our custom framing service.